The Moon is widely thought to have come about as a result of an ancient collision between the Earth and another planet, back when our solar system was just forming. It’s a large satellite, at least by comparison to the Earth. Scientists think they have a good idea of what the Moon is all about, but what if they’re wrong? Now, scientists report that rifts across large areas of the Moon's surface actually forms an enormous rectangle. 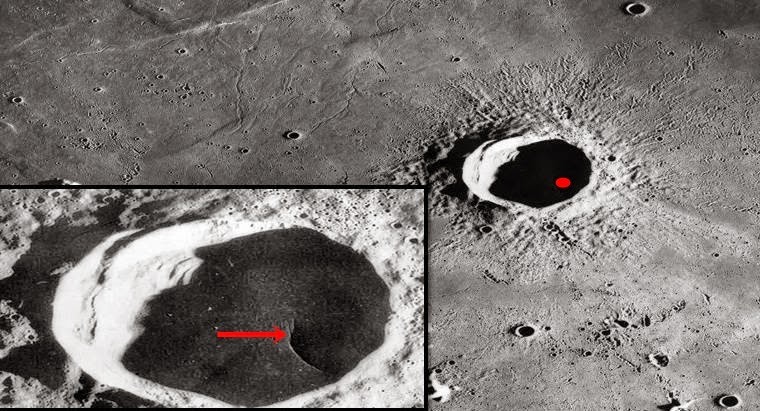 "The observed pattern of gravity anomalies on the moon is so strikingly geometric and in such an unexpected shape that it is forcing us to think in new and different ways about the processes operating on the moon and planets in general," Andrews-Hanna told space.com. New data from NASA's GRAIL mission reveals that Procellarum is not round, but instead is surrounded by a strange giant rectangle underneath the moon's surface. 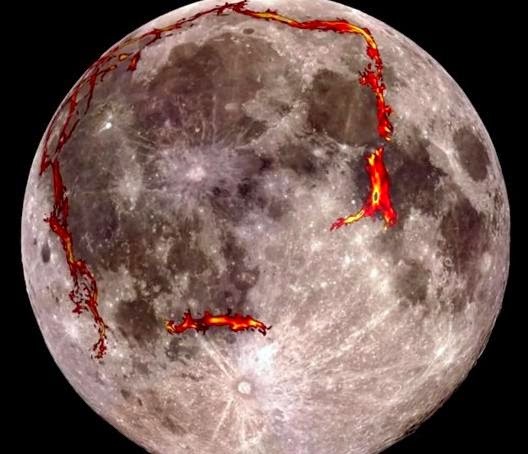 This suggests the Ocean of Storms was not caused by a meteor strike on the moon. Instead, researchers suggest, it formed as the moon's surface rifted apart. This finding reveals the early moon was far more dynamic than previously thought, scientists added. But there are those who believe the Moon is a hollow sphere, and what goes on inside it is way more interesting that what happens on the surface. Others say the Moon is artificial, and may even be a starship of some kind, parked in orbit by an alien race thousands of years ago. Could our best researchers and astronomers have been wrong about the moon for all these years, and is there a dark conspiracy at work here, and maybe the governments of the world are hiding the secrets surrounding the moon? So the enormous rectangle is not a giant 2,000 miles wide (3,200 kilometers) alien space station under lunar surface. But it's interesting and unexpected anyway, and could lead to lots of new interesting ways of thinking about the Moon. But… there’s always the possibility an alien civilization has deposited colonies on various star systems, to observe primitive life as it develops (that’d be us). What better place to hide such an alien base than underneath the moon's surface. As we know, one side of the Moon is always facing away from the Earth. Who knows what could be going on beyond our eyes?